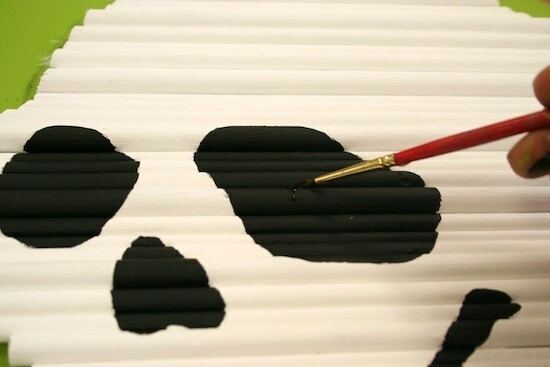 This unique Halloween skeleton decor is made using different sized dowel rods – AND it glows! So spooky and fun to make. So . . . what does one do when they have some dowel rods laying around, they want to make a Halloween project AND they want to use Glow-in-the-Dark Mod Podge? 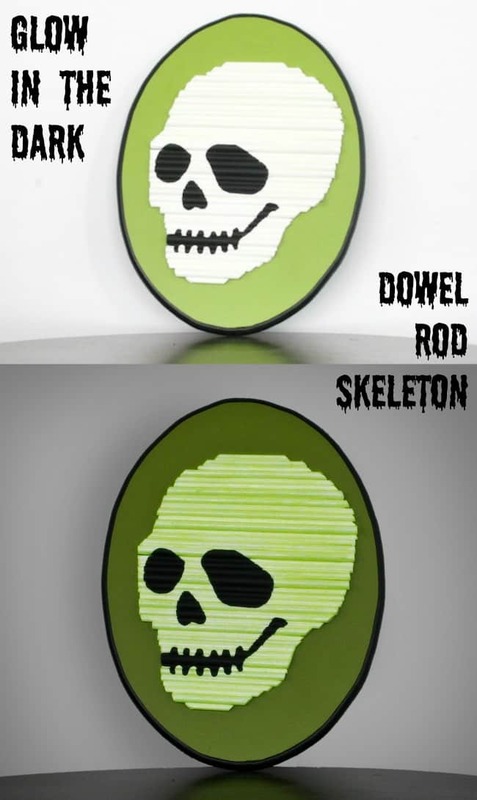 Well, they make glow-in-the-dark skeleton decor, of course! 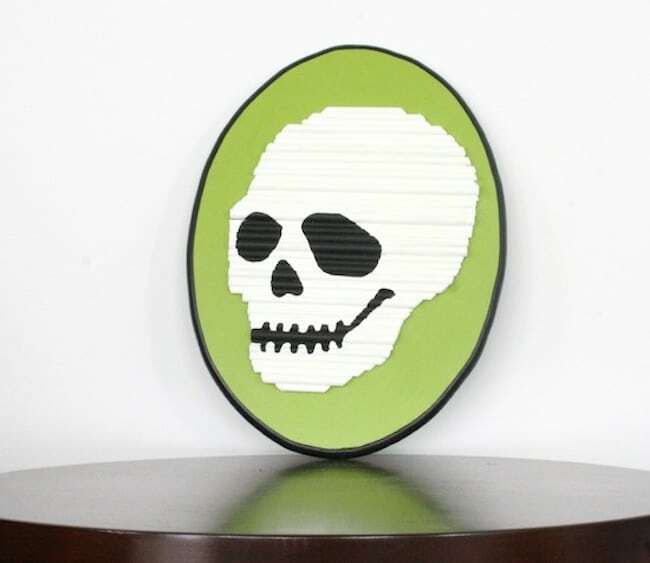 This spooky plaque has a skeleton face made entirely of painted dowel rods, and as you can see, he glows in low light. Here he is in the light. I love the interesting effect of the dowel rods as his face and am so happy with how it turned out. 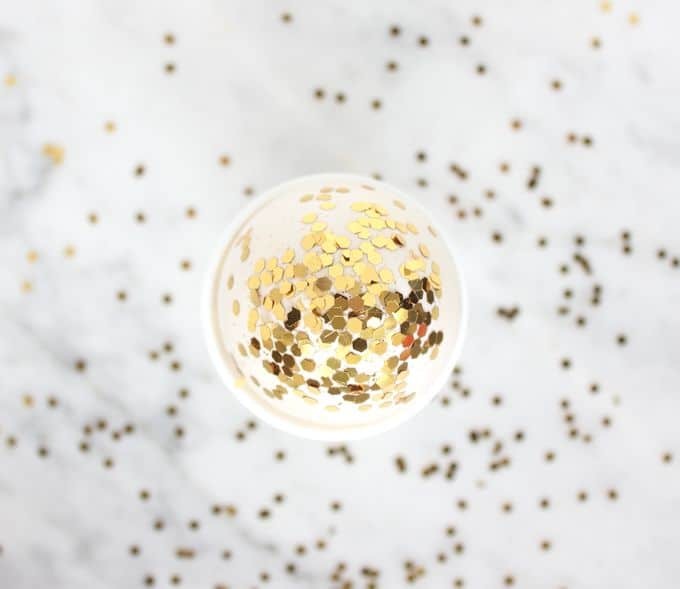 My friend Chris saw my idea as I was initially working on it and wasn't so sure – and I can't blame her – but it turned out just like I saw it in my head. Don't you love when that happens? 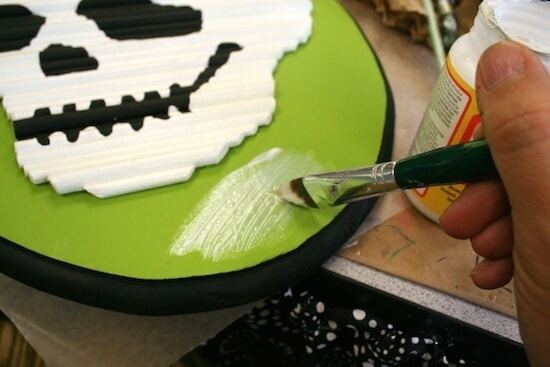 Here's how to make a glow-in-the-dark skeleton Halloween decor for yourself. 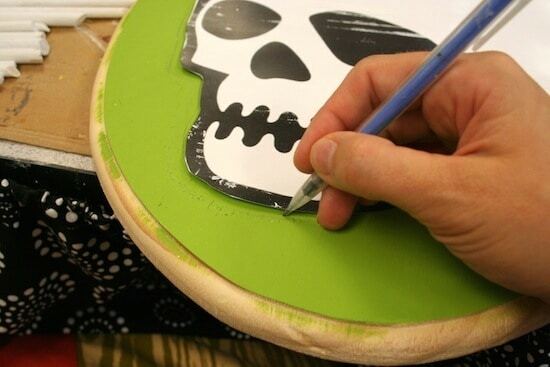 Print out a skull graphic to fit your plaque (look for free clip art or design your own). 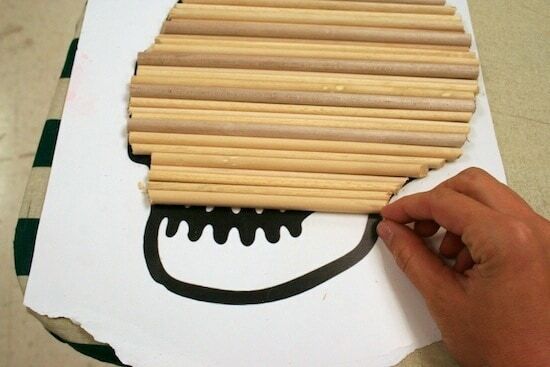 Start cutting the dowel rods to fit the skeleton face. How do you do that, you ask? 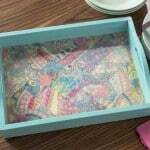 Get a handy dandy miter box and saw and start . . . sawing. I got this for $15 at Home Depot. This is my first saw and I'm so proud of myself. My friend Sherrie attached it to a desk with some clamps so that I could saw with ease. I used a pencil to mark where to saw, then alternated size of dowel rods as I worked. 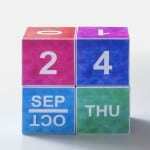 I sawed some pieces at an angle and some straight – I tried to follow the shape of the skeleton face as best I could. Here's the entire thing covered. Now paint all the dowel rods white. It doesn't matter if they shift left or right on the paper, as long as they stay in the same order vertically. 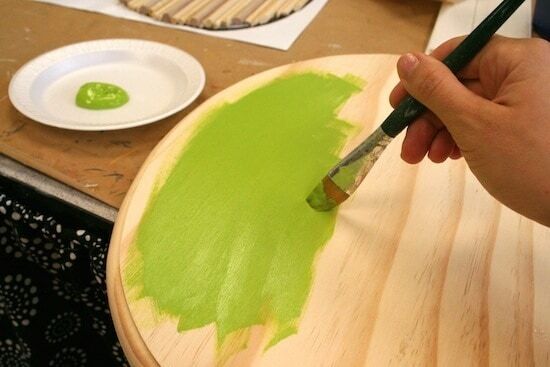 While the dowel rods are drying/you are in the midst of painting them, paint the top of the plaque with Lime Green. Let it dry. 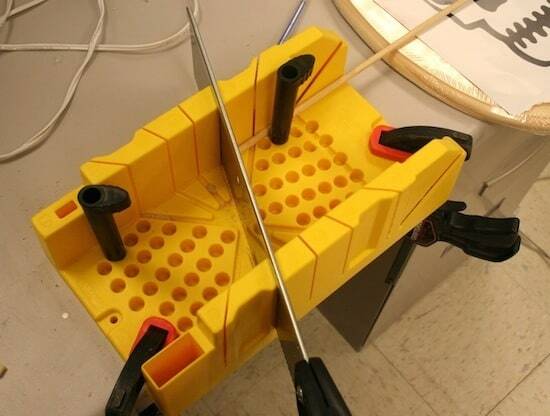 This is how you will get the dowel rods in the right place. Slide them off of the skull design, making sure that they stay in the right order vertically. 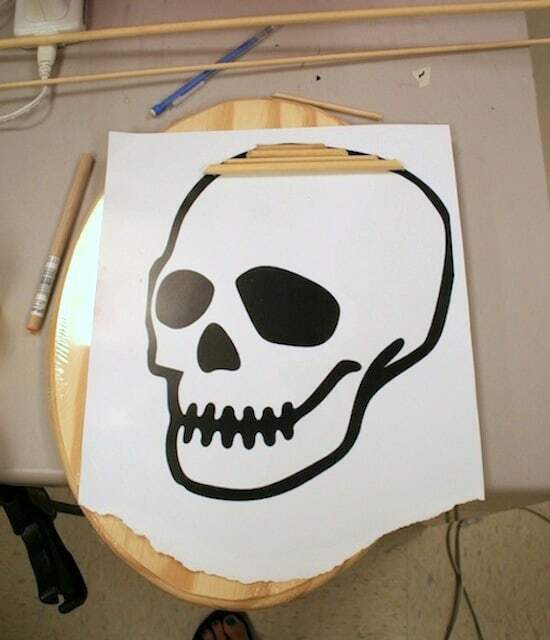 Then cut out the skull face from the paper and trace onto the center of the plaque with a pencil. 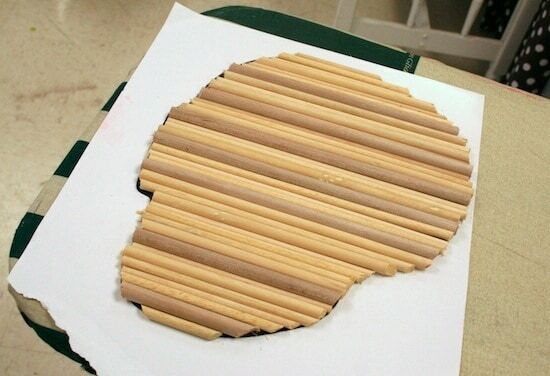 Then starting at the bottom, glue the dowel rods to fit the pencil template using craft glue. Having the template makes it very easy. 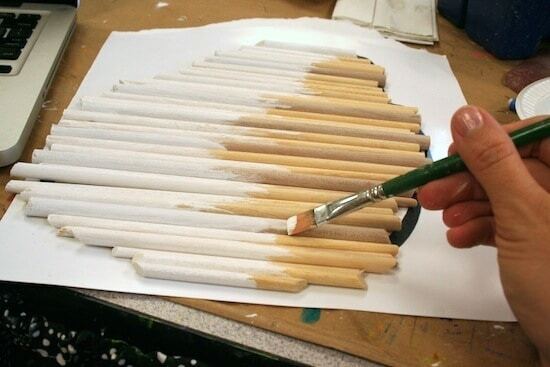 Once you have glue all of the dowel rods down, coat all of the them with white again to touch them up. 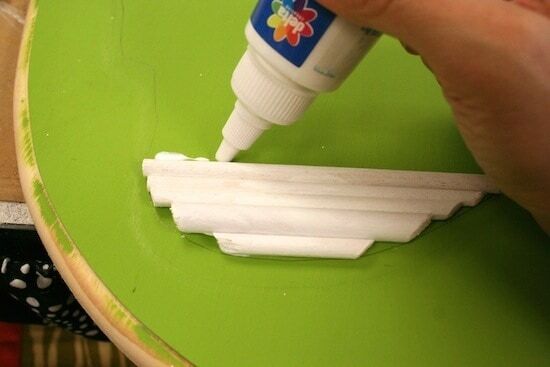 Don't worry if the white paint goes onto the green a little bit – we're going to touch that up too. I had no idea how to get the mouth, nose and eyes onto the dowel rods. Then I realized I could cut out those areas and use the skull face as a stencil. So that's what I did. I used a smaller brush to paint in the black eyes, nose and mouth. It takes a little bit, but it's fun to do the detail work (at least for me). Let that dry. 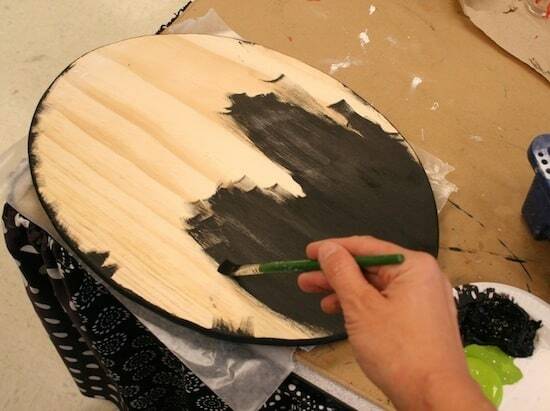 Paint the edge and back of the plaque with black and let that dry. Then turn the plaque over and touch up the green. 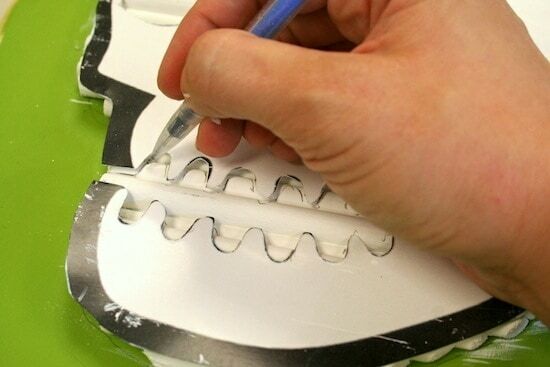 After that, put at least 4 – 5 coats of Mod Podge Glow-in-the-Dark on the skeleton face, but ONLY on the white parts. Let dry. You need this many coats to get a decent glow on your skeleton decor. 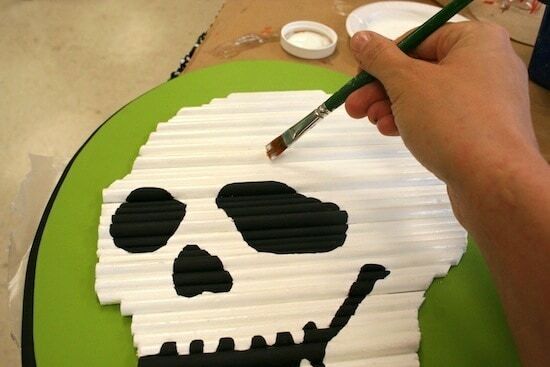 Paint the rest of the plaque (not the skeleton) with Matte Mod Podge. Let that dry. 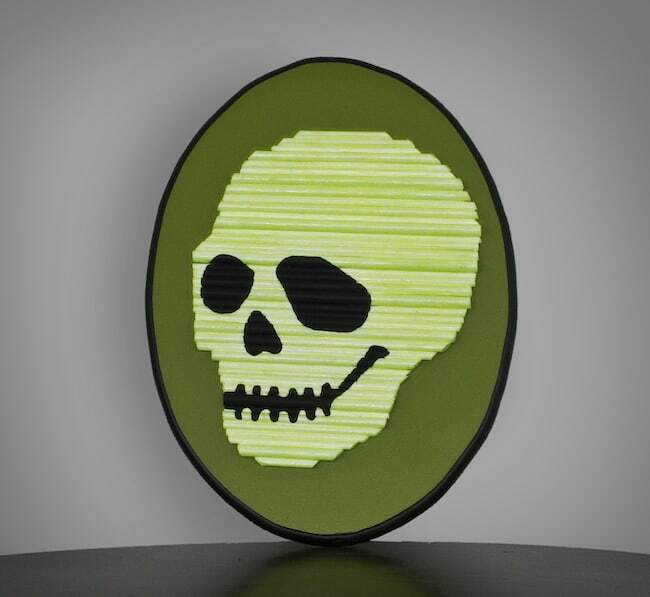 Supercharge your skeleton face by putting it under a light, then shut the lights out and let it glow! It wears off after a a few minutes, but it's totally worth it. And of course I just like my skeleton decor sitting out on the table as regular Halloween decor, smiling. This is awesome. 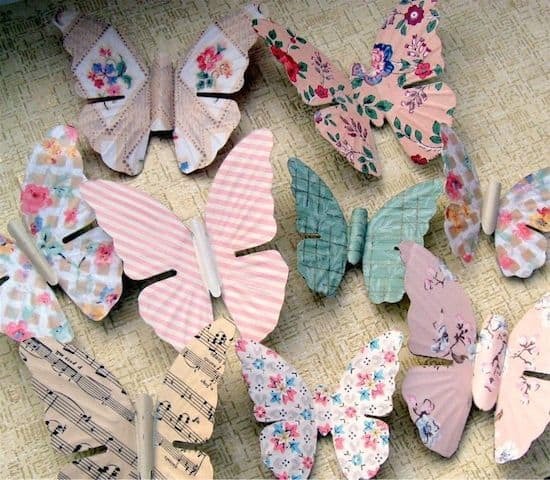 I need more glow in the dark crafts in my life!! This is so adorable! Can’t go wrong with glow in the dark!